Rail-Ability 24 m S&C Beam « A.P. 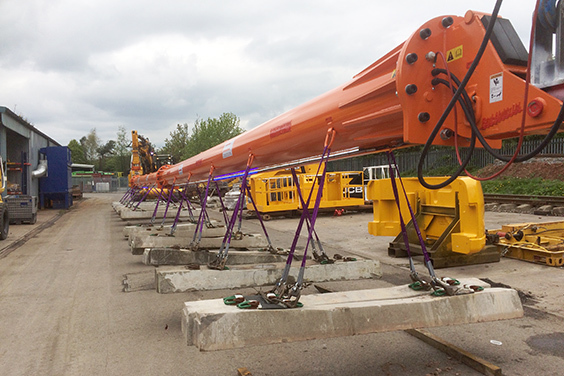 Webb Plant Hire Ltd.
24 metre lifting beam built for lifting long switches. Designed with multiple lifting straps evenly spaced along its length, to enable full and even support of the switch to a maximum weight of 6 tonnes. 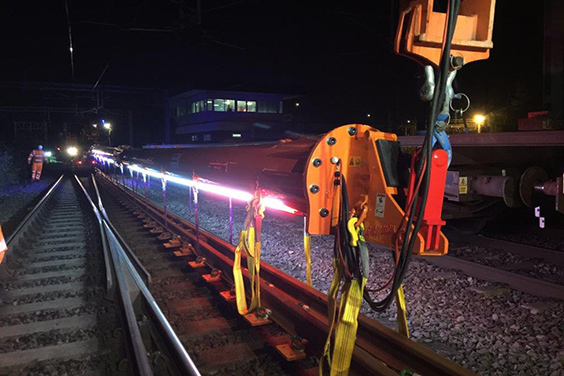 Appropriate illumination has been installed on the lifting device, to ensure that both of the RRV operators and ground staff have excellent visual contact with the load throughout the lift process. These features enable the inch perfect positioning of valuable components.